I certainly had a sense that this was someone who wanted to be part of change. . . . 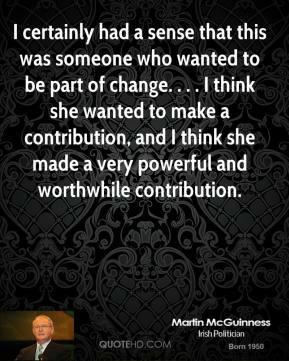 I think she wanted to make a contribution, and I think she made a very powerful and worthwhile contribution. Ask someone which restaurants they are satisfied with and they will gladly tell you. Ask them which restaurants they recommend and their answer puts their personal reputation at risk. 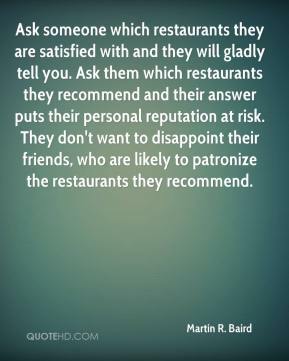 They don't want to disappoint their friends, who are likely to patronize the restaurants they recommend.